Freezing canned food will ruin it. 4 What Are the Best Containers to Freeze Food In? If you store your canned goods in an unheated storage area, you may want to consider moving them before freezing temperatures hit. Canned goods should never be frozen and doing so can create an environment right for foodborne illness and toxic conditions. Avoid freezing canned goods whether in glass or plastic and ensure your storage area doesn't get cold enough to freeze foods. In some cases, frozen canned goods can be used, but in most, freezing renders them unusable. 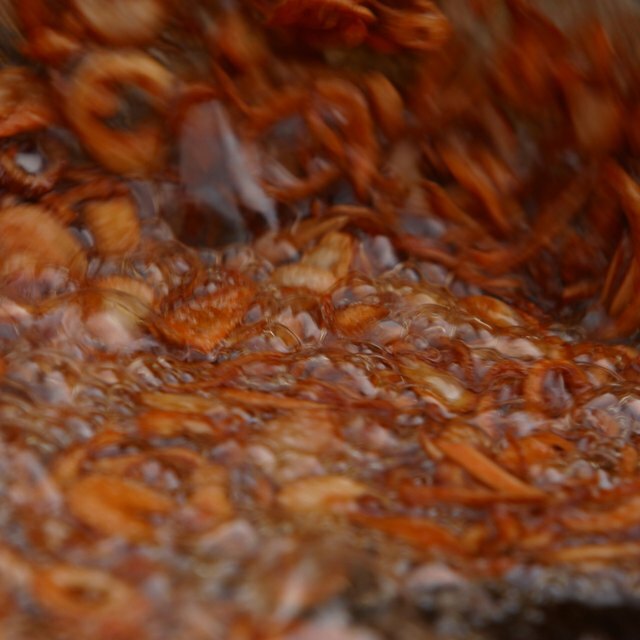 Freezing causes expansion, which leads to detrimental effects on canned goods. 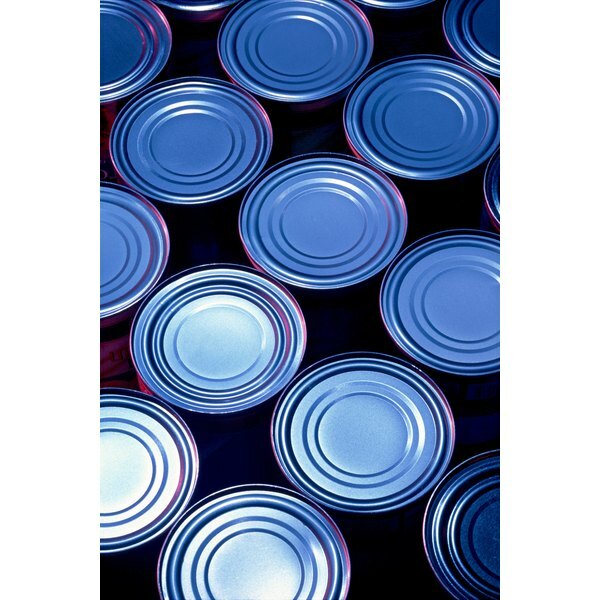 For items canned in metal tins, this expansion can cause the seals of cans to break. For foods in glass, the expansion can cause the jars to crack or break. In both cases, this opens the opportunity for foodborne pathogens to grow to harmful levels and make those foods unsafe to eat. Never intentionally freeze any canned goods and store them in an area that maintains a steady temperature above 40 degrees Fahrenheit. If you have food in a metal can that was frozen, but the seal is intact, it is safe to eat. If the seal has broken and the contents are thawed, throw it out. If the contents remain frozen, it is safe to eat -- thaw or refreeze the ingredients for later use. If the canned item is a low acid food, such as meat, fish or vegetables, always throw the food out because it could be contaminated with botulism toxin. Glass jars often break when they're frozen and you should throw out any jars that are cracked or broken. If the seal is intact, the contents are safe to eat and can be gradually thawed to prevent jar breakage. Check the seal after the contents have thawed. If the seal is broken and the contents are thawed, discard the jar and its contents. For any low-acid foods, like fish, meat and vegetables, discard whether the seal is broken or not. It is especially important to be vigilant about the safety of canned goods when they have been improperly stored. Even high acid foods, like pickles, jams and jellies, should be thoroughly examined for signs of spoilage if they have been frozen and the seal is intact. If any canned items looks or smells bad, do not try it to find out. If you are in doubt, throw it out. How Long Are Canned Meat & Vegetables Good For?